Derry City FC had three players on International duty recently. 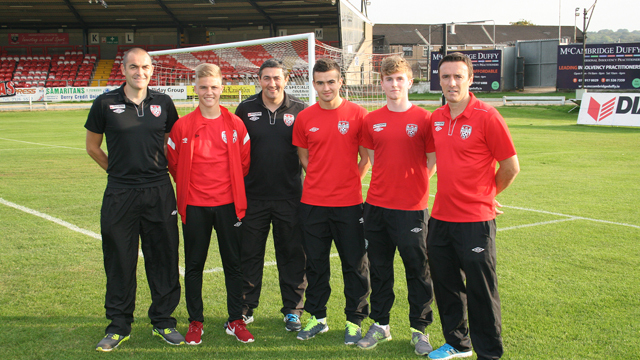 Michael Duffy and Joshua Daniels with N.Ireland, and Chris Flanagan with Rep Of Ireland. 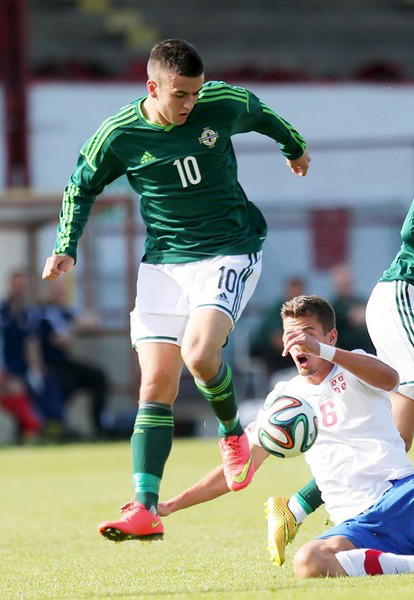 Michael Duffy made his debut for N.Ireland U21s on 9th September against Serbia U21 in Shamrock Park, Portadown. Michael played 90mins up front for Jim Magilton’s side as they were defeated 4-1 by the Serbians in the Euro 2015 Qualifier. Michael impressed and will, no doubt, feature again in the qualifying campagin. Joshua Daniels had a starring role for N.Ireland U19s at Queen’s Sport, Malone, Belfast. Joshua bagged himself a goal in the 3-1 win over Iceland on 5th September. Reserves midfielder Chris Flanagan played in the Rep Of Ireland U19’s 1-0 win over Holland at Tallaght Stadium, Dublin on the 8th September. Managed by Paul Doolin, himself a former Derry City midfielder, Rep Of Ireland U19s ran out winners after a first half penalty sealed the friendly win. Well done to the 3 lads from everyone at the club!